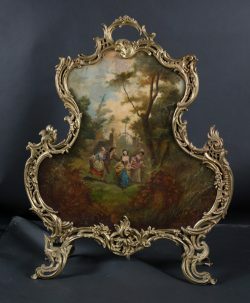 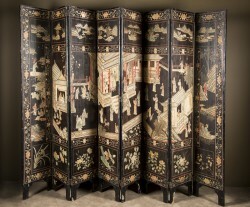 French 19th century bronze Louis XV Rococo hand-painted fire screen with gentleman and three ladies frolicking in pastoral scene. 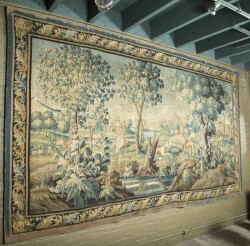 French 18th century Aubusson tapestry of exotic landscape with mythical animals. 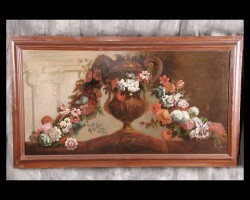 Signed "De Landrieve" & M R D"Aubusson"